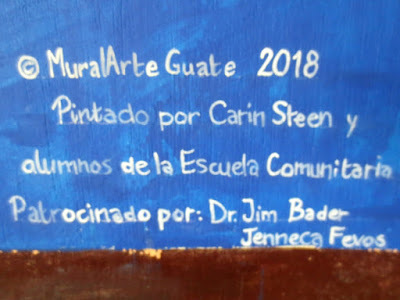 When I started with the art workshops for kids in the shelters shortly after the volcano eruption of June 3rd, a mural was always in the back of my mind. But of course then and there was not the time or place. Maybe in the transition shelter? Neither. 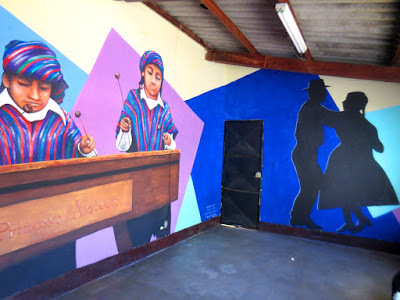 Although the wooden structures would look waaaay better with a lick of paint, the central government doesn’t allow them to be painted, explained Sandra Barragán my contact at the Municipality of Alotenango. But if I was looking for as wall, she sure had some ideas! 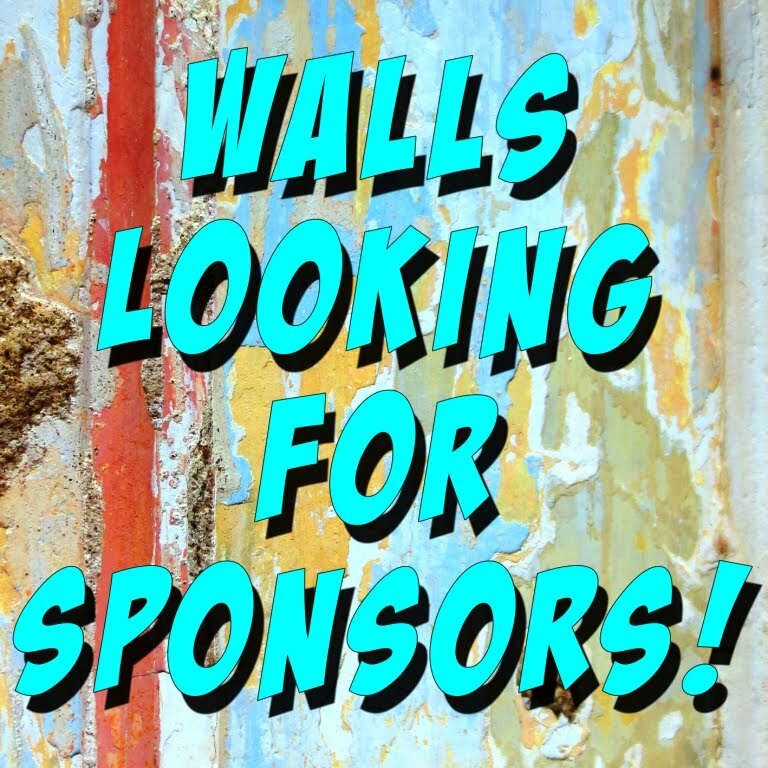 Could I please paint the wall in the “Marimba Room”??? And have the kids from the Community Academy of Art help me??? It turned out I knew the “Marimba Room” al too well. 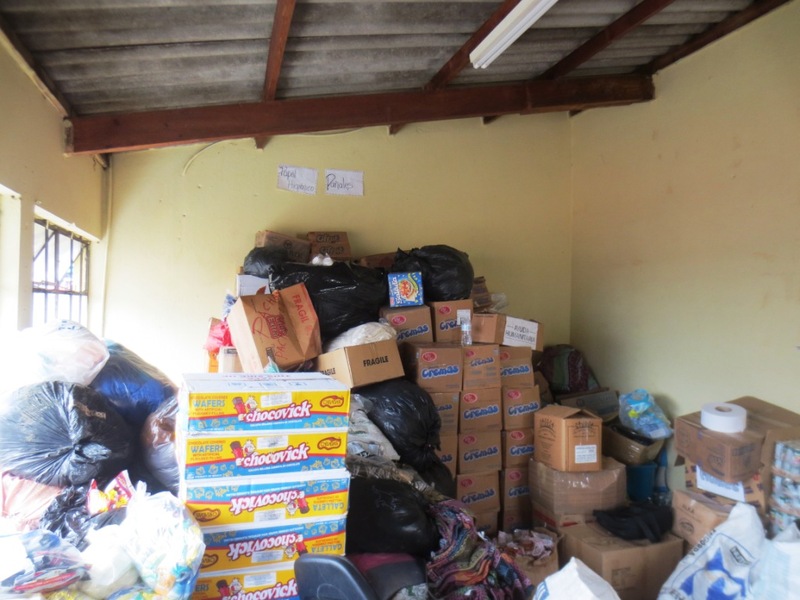 It was the room stacked till the ceiling with donations right after the eruption, from where a team of municipal employees coordinated visits and activities in the shelters. This was where we would pick up our nametags and permission slips in order to get into the shelters. 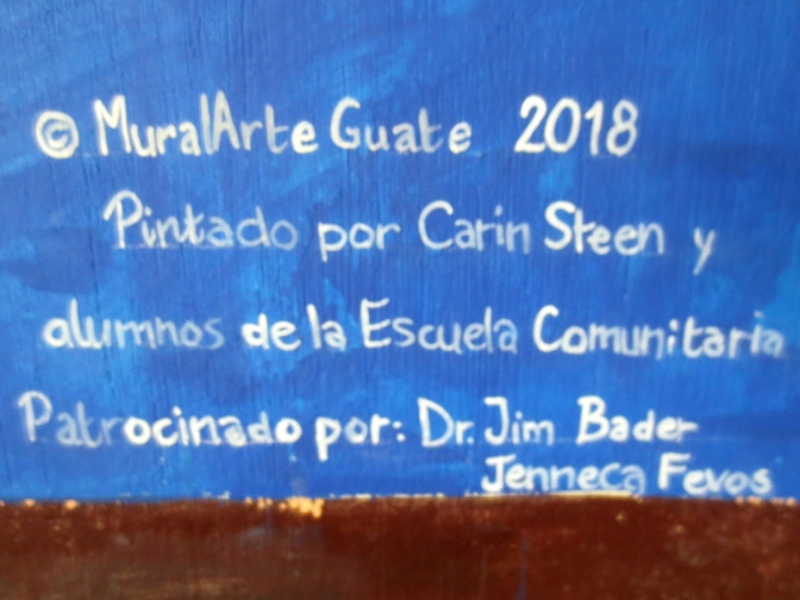 The Community Academy of Art I did not know, but it turned out to consist a group of kids that receive weekly free art classes offered by the Municipality. Although most of them were not direct victims of the volcano eruption, all of them, as everybody else in Alotenango, were affected by the disaster in some way or another. I prepared a design (marimba players, of course, in the colours of Alotanango) of which parts could easily be painted by my young helpers. And they did not disappoint!!! What a great group of kids! They were so enthusiastic, eager to learn and dedicated! We had a lot of fun and advanced big time during our fist day of work (Thursday November 29). The next day 6 of the kids showed up for more painting, although not much could be done except for some details that I had to do myself. 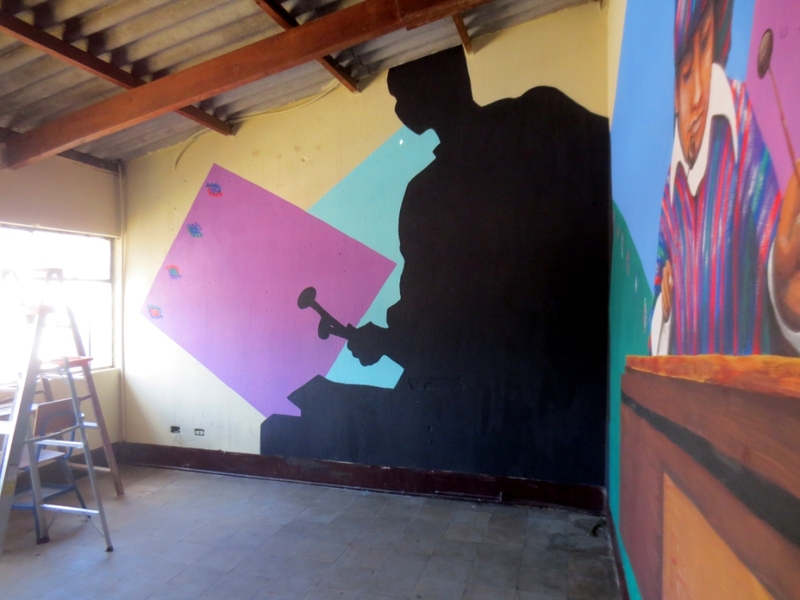 Sandra and art teacher Rolando Callejas later came by and helped by painting the hard to reach spots near the ceiling. Yesterday I went back for the final details and then the work was done… But the project is not over yet! To be continued…. And my friend Donna Jessen. And of course the ones who made all this possible thanks to their generous donations: Dr. Jim Bader and Jenneca Fevos.